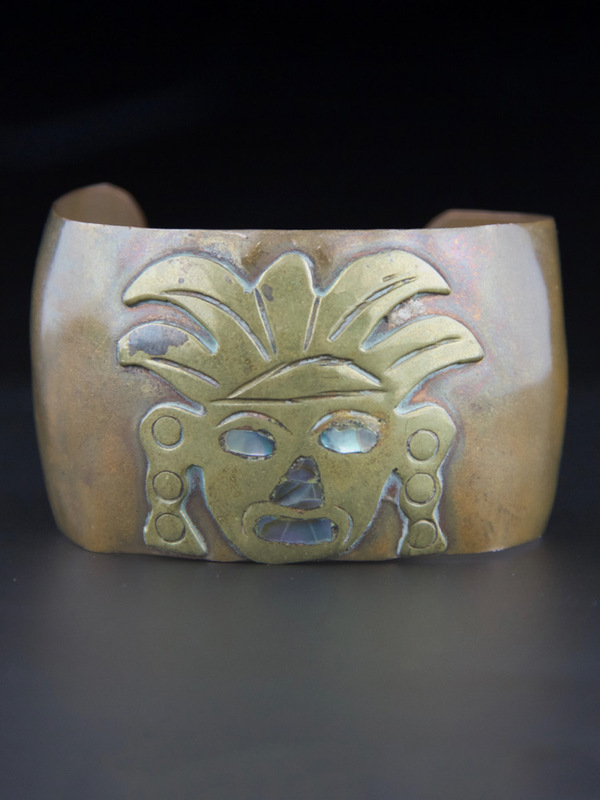 Totally stunning Mexican vintage statement bracelet. 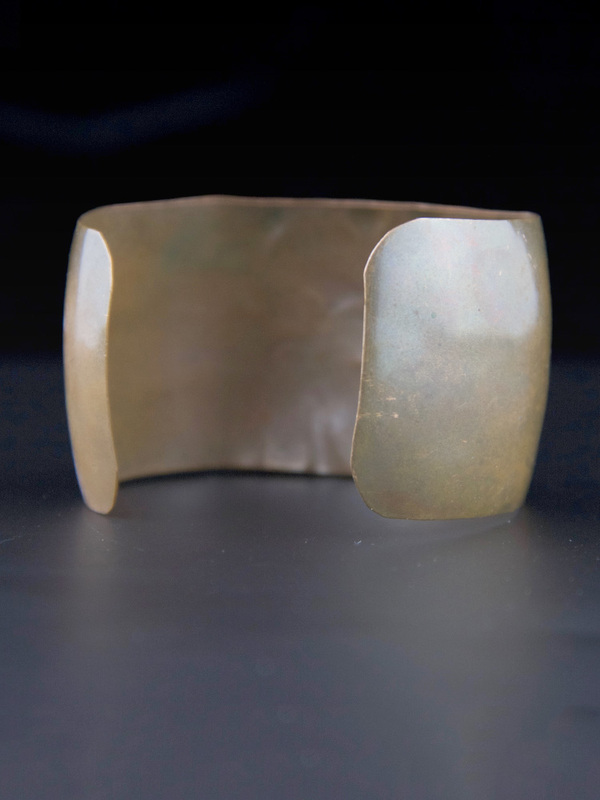 Big copper cuff with brass Mayan face and inlaid abalone in details - wide, bold bracelet. Spectacular vintage condition. Shows mild wear commensurate with age, no dings or chips, will come with some patina, as level of polish is a matter of taste. There is a copper coloured mark on the brass - see pic, very smooth so not sure if it's tarnish or copper, does not affect the look. 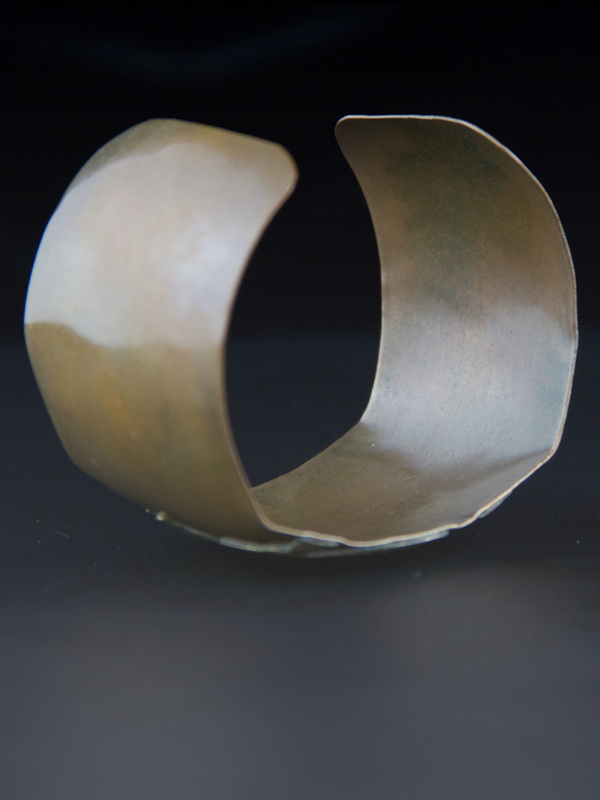 Has a handcrafted look to it, not a smooth round - amazing vintage piece.